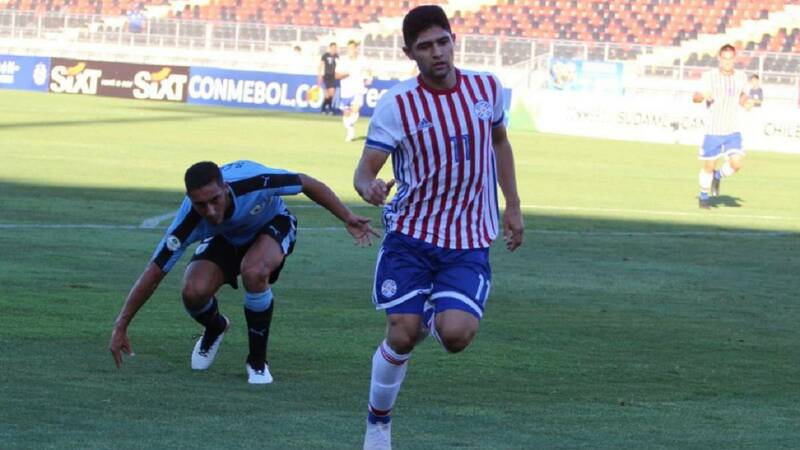 The striker was the great leader of his team, scored the only goal of the game and allows the Charrúas to access the Hexagonal in a duel with Paraguay. Uruguay qualifies to the Hexagonal and leaves out Paraguay thanks to a solitary goal of Schiappacase in the first part. The Charrúas had occasions to live a quieter end but they did not give a ruling and the Guaraní looked for a goal that allowed them to qualify. Uruguay and Paraguay a square is played in the Hexagonal in this dramatic match, in which one of the teams will be out and the other will advance. It is likely that a the guaranis will be enough the draw , they will know when to start the match, but a the charrúas will only be worth the victory. Uruguay only adds three points, achieved in an excellent match against Ecuador, the leader of the group B. Therefore, now only another victory will allow access to the Hexagonal, where the places for the World Cup of the category will be distributed. Although the accumulated wear is not expected great changes by the coach Coito and the responsibility will fall again in Núñez, Schiappacase or Zalazar. A seasoned group that lacks a point of success in attack and that will seek to change the dynamic in this key game. The team led by Morínigo started in the worst possible way the tournament, with the clear defeat by 3-0 against Ecuador . However, they showed mental strength to recover, match Argentina and win Peru in a match in which they were much superior. With four points in the box, if Peru does not beat Argentina, a point in this match will be enough to classify them to Hexagonal. If in defense they are strong as in the last two games and they keep the ball, without fear of attacking, they will have a lot of won.